We offer beef in wholes & halves. They will be delivered to a custom processor whom you can interact with and provide cutting instructions. We will sell by the hanging weight with the customer paying the processing fees. 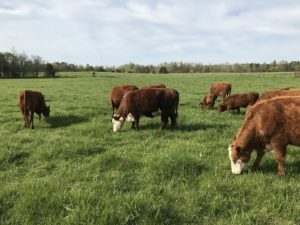 We currently have 7 whole beef available for Fall ’19 processing. To reserve yours now drop us an email. We use no antibiotics or hormones. 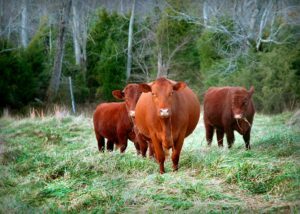 We also use no herbicides, pesticides or chemical fertilizers on our pastures.